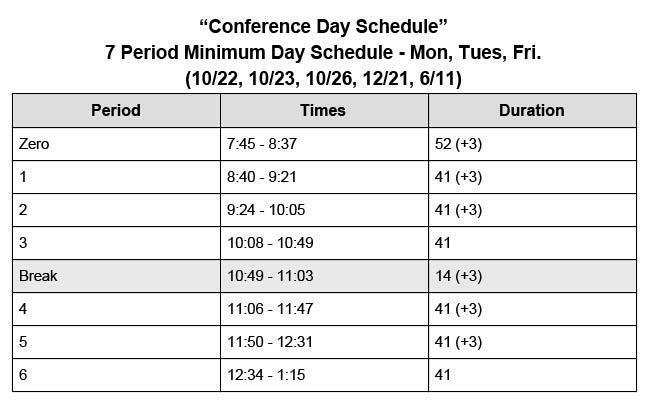 Occasionally there are days when we don't follow our regular weekly bell schedule due to minimum days, assemblies, etc. 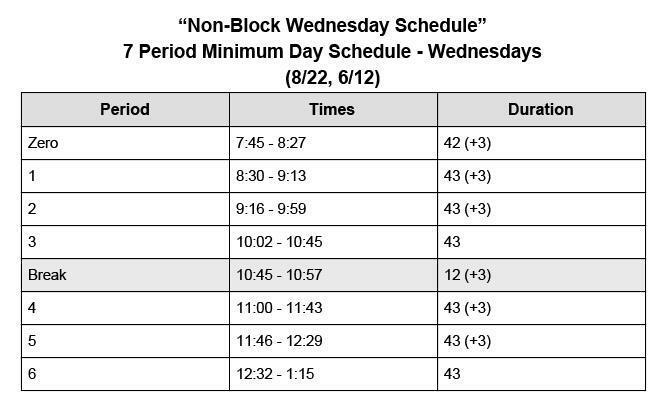 This document shows the bell schedule for those days including the dates they will be used. 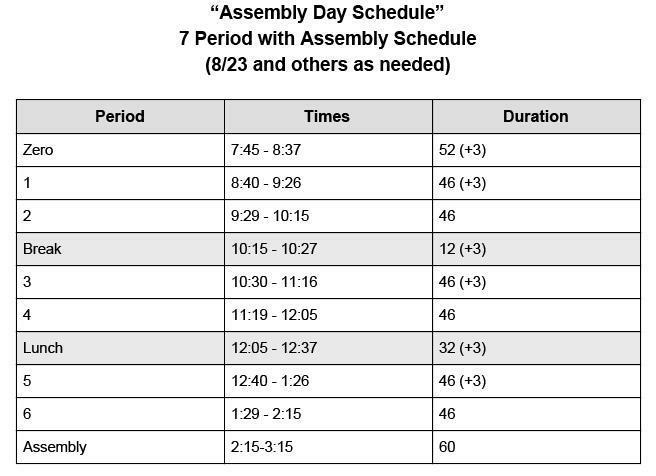 We may add additional schedules as needed to accommodate assemblies, longer emergency drills, etc. Teachers will always help students navigate any changes. 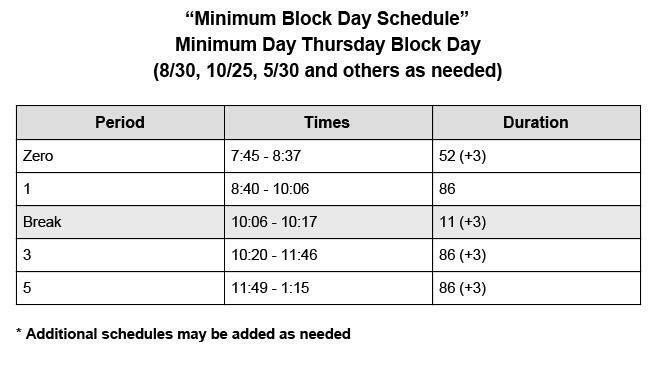 If you have questions, please contact the school office at 650-508-7321.